“Saint Francis Healthcare System offers many nurse practitioners in its primary care clinics who benefit our patients because we can complement the care of a physician,” says Kimberly A. Keser, DNP, APRN, FNP-BC, family nurse practitioner. Nurse practitioners are trained under a nursing model, not a medical model, which provides a unique type of patient care. 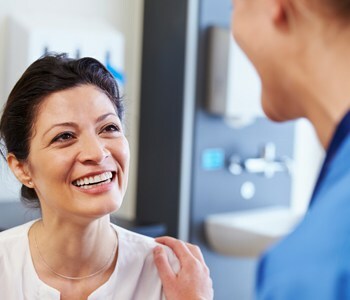 They provide high-quality, cost-effective care and can be a patient’s primary care provider, or be a great resource for patients who are having difficulty obtaining an appointment with their primary care physician. To learn more about nurse practitioners at Saint Francis, call 573-331-3996.